Porsche cars and SUVs are designed with the highest level of precision and engineering, so keeping them in shape requires a similar set of expertise. Our Thousand Oaks, CA Porsche dealer serving Los Angeles, Calabasas, Oxnard and Malibu offers that kind of service, care and maintenance, helping you to keep your luxury car in its best shape. See how easy it is to schedule service here, then come over so you can see the experts at work. This level of craftsmanship requires high-end maintenance and repair work, when necessary, and you can save more by using the service specials we offer each month, all in an effort to keep your Porsche lasting as long as possible. Furthermore, we offer the best Genuine Porsche Parts, and there are some great parts specials to help you save as well. 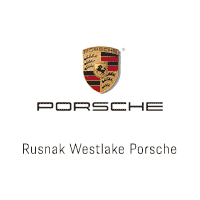 See why the service center at Rusnak/Westlake Porsche is your best bet for all your luxury car maintenance and repairs by coming over today.